The conclusion was that I preferred my food to be lukewarm or cool in temperature. In another conversation, different person, different time, I said I like spicy food. The conclusion was that I would prefer more (rather than none) bird’s eye peppers in dinner. That would also be incorrect. I do not like or eat food that has spices or vegetables that make my mouth burn… Not even a tiny little bit. Allioli, properly prepared, can be hot. It will make a slight sheen appear on my brow (she says, delicately) but it will not make my mouth burn. Spicy foods contain a lot of spices (might I just say ‘Duh!’). Many, many spices are not hot. Maybe I should just say that I like assertive food. Then everyone will be clueless. Add tomatoes, stock, 1 tbs parsley and 1 1/2 cups of the chickpeas. Purée remaining chickpeas with 2 – 3 tbs water, only enough as is needed. Stir chickpea purée into soup. Add preserved lemon and remaining 1 tbs parsley. The holidays are over and mon mari is back to work. 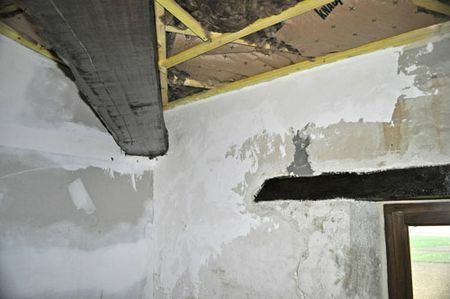 Now that the room he’s working in is insulated and warm, he can start the ceiling. It needs to be warm so he can varnish the boards. And while he’s waiting for the varnish to dry he’s still working on patching the walls. 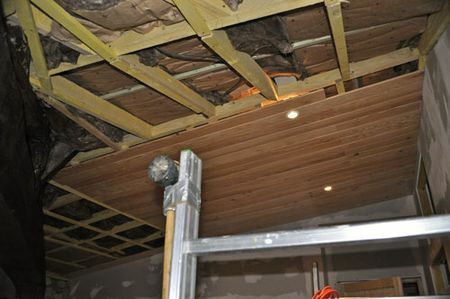 This room seems to be going much faster than the last one, for two reasons: experience and the outer walls are in much better shape. Hard to believe only one room left after this. Then there’s the barn, of course….. I get what you are saying. Spicy and hot are two different sensations . . . or at least I think that is what you are saying. Love the spices in this soup. Congratulations on being so close to being done with your house. My husband has been sitting in a chair and not lifting a finger since we finished our house. Can’t say as I blame him. It was grueling. I love, love, love this soup! One of my favorites, and might I add…company worthy. Penny, that’s exactly what I’m saying LOL My hubs is looking forward to that! Cindy, it’s definitely going on to my ‘frequent’ list! Margarita, oh – chard would be good. I’ll have to do it again in the spring! 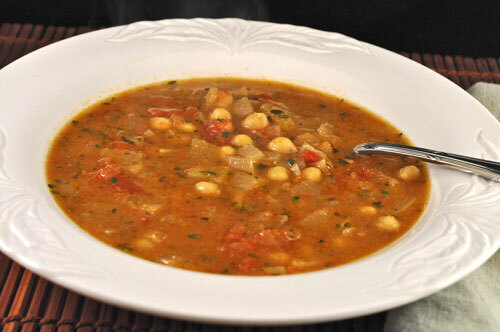 Love the sound of this soup, chickpeas are one of my very favorite things! I totally get the difference between hot & spicy! It drives me crazy when someone describes “hot” food as spicy! This is absolutely delicous Katie! 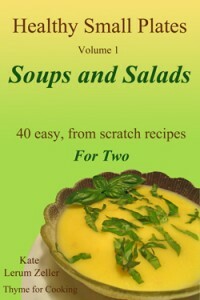 I used a can of lentils instead, that is what I had at home, a fantastic soup! That soup looks delicious !! Yours is the second blog to arrive in my mail box today with a chickpea recipe !! I like both definitions of spicy hot food. And this soup sounds great! It’s also reminding me that it has been eons since we’ve had a Tunisian cousin to your soup: lablabi. Mmmmm… can’t get enough of those chickpeas! Stady, lentils would be good – I love lentils… the hubs prefers chickpeas. manningroad, must be the season… It was good. Elizabeth, I always get the urge for spice (not heat) after the holidays…. Tunisian, eh?